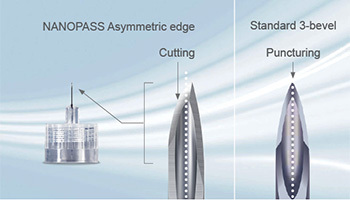 One Size Made to Fit All ​The NANOPASS 32.5-range offers three different lengths - allowing you to choose the optimal pen needle for each patient type. 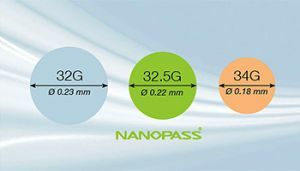 ​The NANOPASS 32.5-range offers three different lengths - allowing you to choose the optimal pen needle for each patient type. Terumo has used its extensive needle design technology to minimize the pain associated with injections. 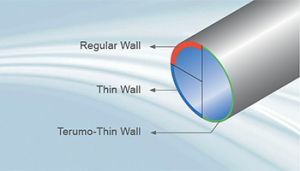 Colour coding for easy identification of the preferred pen needle length. 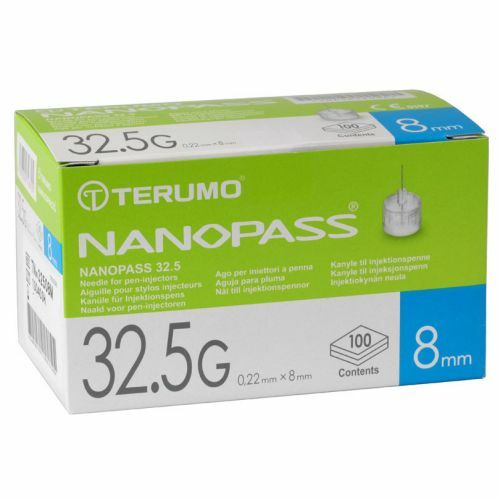 NANOPASS 32.5G offers patients a more convenient insulin injection by applying dedicated Terumo technologies. The unique asymmetric bevel of NANOPASS cuts the skin instead of puncturing it. This decreases the resistance while penetrating the skin* – designed to reduce pain.